Now, you know me. I’m not a man who likes to laugh at the misfortune of others. I swear I’m not, or my name isn’t Kieran Schadenfreude Macfadzean. But when someone gets themselves killed in such a hilariously avoidable fashion for a similarly laughable reason, I allow myself a chuckle. This was the case when an American attempted converting a remote island tribe who are infamously aggressively insular to Jesus. After repeated warnings that they would kill him if he went to the island, he went, bible in hand. They very quickly killed him in a response as predictable as it is slightly more aggressive than my own approach to Christian missionaries. John Allen Chau’s diary entries make for some reading. The holier-than-thou 26-year-old had attempted multiple times to ‘preach’ to the tribe. Their response was to shoot his bible and chase him from the island like a pretentious Jack Sparrow. Chau arrogantly-erm… I mean admirably persisted in his quest to save the tribe’s souls. Because the tribespeople didn’t comprehend this saviour’s benevolent message, they fatally shot him with bows and arrows. In that way, he’s a bit like Jesus himself. You know, if Jesus has been a sanctimonious idiot who couldn’t quite manage the ‘three days and rise again’ trick. The Bank of England has released the scientist portrait nominations for the new £50 note. To be eligible, the individual has to be real, dead and have contributed to field of science. So technically I supposed John Allen Chau would qualify as, despite his beliefs, he’s a fantastic case-study for natural selection. Professor Stephen Hawking is the current favourite with the irony of associating the pound with a black hole apparently lost on the modern British public. Computational scientist and mathematician Alan Turing is also on the list. I’m sure Turing would have been delighted to feature on the same banknote as the Queen- who pardoned him for his homosexuality in 2013… 59 years after his death… and 57 years after the government chemically castrated him for it. He’d be thrilled. Also in the nominations is Margaret Thatcher, whose sole contribution to the scientific community appears to be her experiment on how sad a coal miner gets when you starve his family. Say what you like about Maggie but she certainly repeated that experiment enough times to be certain. 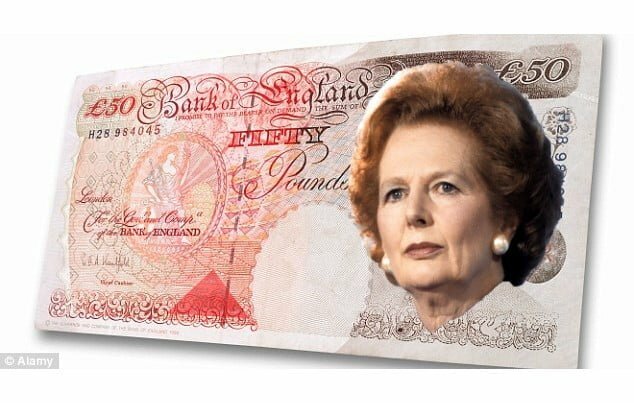 I personally think that Thatcher would be the ideal choice for the £50 note because lets be honest, the people who she targeted and abused will never see one anyway. If you’d like to read more passive aggressive attacks on anyone in any position of authority, click this here link.